Trek's Checkpoint should appeal to gravel riders who know they’ll be abusing their gear or first-timers who don't want to break the bank. The best gravel bikes find ways to balance versatility and simplicity. By combining smart engineering and familiar geometry, Trek achieved that balance with its new, affordable Checkpoint bike. First off, the Domane Gravel, which was released in late 2017, has met an untimely demise. (Well, not completely; it will still be available as a Project One build.) The Checkpoint replaces it and ditches the front decoupler as well as the adjustable rear decoupler, for the sake of affordability. 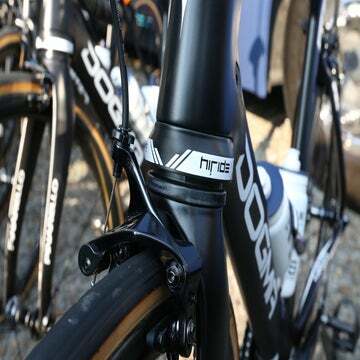 Its rear, non-adjustable decoupler is the same you’ve seen on Trek’s Boone cyclocross bike. And that’s not all the Checkpoint shares with the Boone. The reach on both bikes is nearly identical; the chain stay length and wheelbases are also the same. The Checkpoint does have a slightly taller stack height and a lower bottom bracket, though. 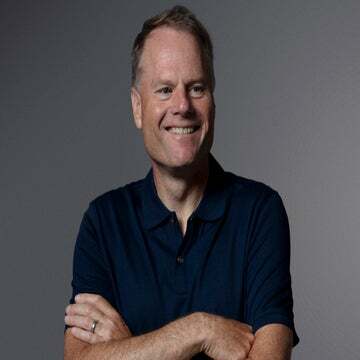 Trek aims to strike a middle ground between stability and responsiveness. It feels like a road bike, but not quite. The Checkpoint also features Trek’s “Stranglehold” dropout, which is featured on one of the company’s mountain bikes, the Stache. This allows you to customize the wheelbase with 15 millimeters of total adjustability fore and aft. A longer setting gives you stability, while a shorter setting quickens handling. It also allows you to run the bike as a singlespeed. Of course, there are mounts everywhere. You have the option to run three water bottles in the main triangle and another under the down tube. The Lowrider fork mounts accept a rack or bag setup and are designed for Trek’s 720 Fork Rack. The SL models include a top tube mount for a bento box. And of course, there are mounts for a rear rack. In another nod to versatility, the Checkpoint has clearance for tires ranging from 28mm to 45mm. The bike comes with 35mm Schwalbe tires, as well as an 11-34 cassette. It’s important to note that the aluminum ALR models do not feature an IsoSpeed decoupler. Trek suggests running super-wide tires (up to 45mm) to achieve more compliance. Trek claims the Checkpoint SL frame weighs 1,240 grams, while the ALR frame tips the scales at 1,570 grams (both size 56cm). The forks weigh 470 grams and 600 grams respectively (with 300mm steerer tube length). 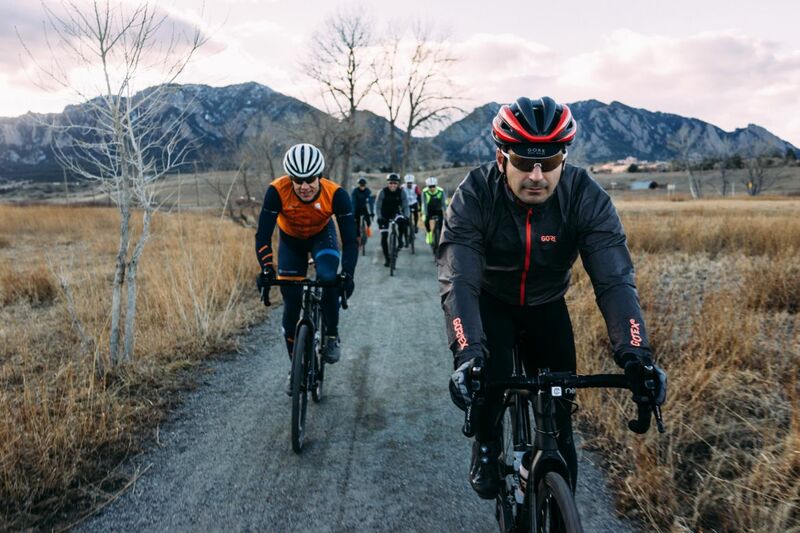 Trek outfitted us with the Checkpoint SL6 for a ride on home roads and dirt here in Boulder, Colorado. That meant plenty of climbing on the 19.33-pound bike. On the climb out of town, the Checkpoint affirmed its road/cyclocross roots. It rides well enough on pavement, but those big tires noticeably slow you down. That’s the nature of all gravel bikes, not just the Checkpoint. What sets the Checkpoint apart is its aggressive geometry: It’s almost like a road racer-plus. So while the big tires might slow you down, nothing else will. In that same road-racer-plus theme, the Checkpoint handles confidently on dirt roads, and on climbs out of the saddle. The only place it needed a fair bit of muscling was on high-speed pavement descents, which is, again, to be expected given the high-volume tires. The Checkpoint seemed most at home descending on dirt roads. It was easy to dive into tight turns with confidence. You’re only limited by tire tread here. Trek’s IsoSpeed decoupler isn’t new or redesigned. It’s basically adopted from Trek’s CX racer, the Boone, and if you’ve ridden that bike, you know what to expect. If you haven’t, expect heaps of compliance. It may feel like too much compliance if you are spun out on pavement for long stretches. Despite the extra weight penalty, it would be nice to have the option to adjust the rear decoupler as is possible on the Domane and Domane Gravel — for the sake of versatility. Happily, the Checkpoint doesn’t fall into the common gravel traps: geometry that’s too lazy, frame and fork that are too heavy, or extra components and features for the sake of differentiation rather than for ride improvement. It has a gravel heart, but Trek understands that not all riders are interested in shedding performance for the sake of carrying more gear. 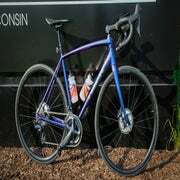 Plus, with multiple builds under $3,000, the Checkpoint should appeal to gravel riders who know they’ll be abusing their gear or first-timers who don’t want to break the bank. We haven’t yet had the opportunity to add bigger tires or lots of gear, but bags and racks are on the way from Trek so we can get a sense of its long-haul, geared-up capabilities. Stay tuned for a long-term review in the coming months.